… and some of the process you use to arrive at those decisions are due to the person’s criminal history, then please read on. OK, let’s say that you now have a Candidate that would be perfect for the job, but the NPC has come back with a Disclosable Court Outcome (DCO). references from people who know about the offending history. Remember, the more information that you ask for, the greater the likelihood that you can exercise reasonable judgement in assessing the connection between the criminal record and the inherent requirements of the job. However, you should be aware that this extra scrutiny places added pressures on the Candidates and who knows if if will end up in court. How has this played out Australia? In short: A HUMAN RESOURCE DISASTER! In recent years the Australian Human Rights Commission has received a significant number of complaints from people alleging discrimination in employment on the basis of criminal record. 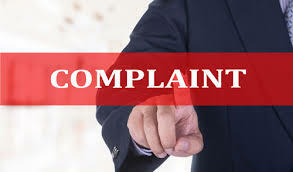 The complaints indicate that there is a great deal of misunderstanding by both employers and people with criminal records about discrimination on the basis of criminal record. With Cleard.life you can outsource this headache altogether. We enhance and or improve the way organisations reach background screening determinations. Not only does it step up organisation’s personnel security efforts but it lifts and fortifies the organisation’s security standards. And most importantly, it abides by the Anti-Discrimination Act. We offer a standalone background vetting check which is recognised as an Organisational Suitability Assessment Screening Qualification. Cleard.life is business unit of an Australian national security vetting agency leader, Crown Vetting. Cleard.life allows organisations to access the same suitability standard checks applied to national security clearances, but a 100-fold faster and a fraction of the cost. The same methodology that government vetting agencies use to determine the suitability of a person to access to HIGHLY SENSITIVE information is now in the hands of HR Professionals, Recruiters, Security Officers, Risk Managers, Business Owners & Employers. Get in touch with us for a confidential discussion about your situation. Phone (02) 61-71-41-71 today.